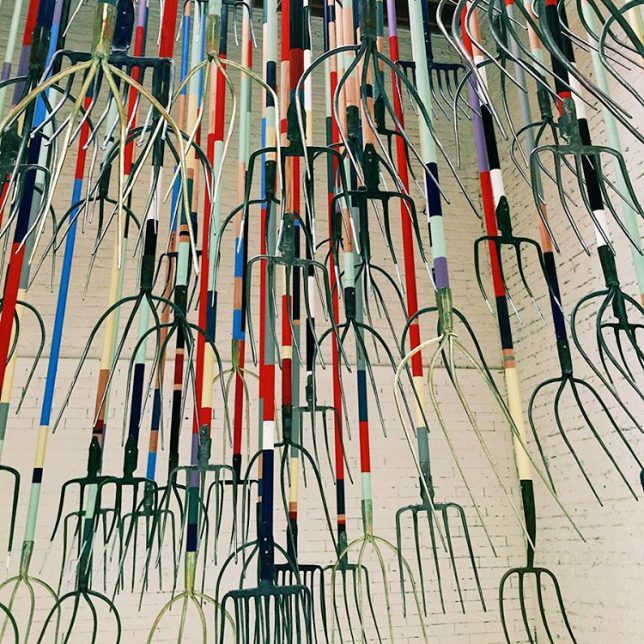 When someone exclaims “It’s raining pitchforks and hammer handles out there” they rarely mean it quite so literally. 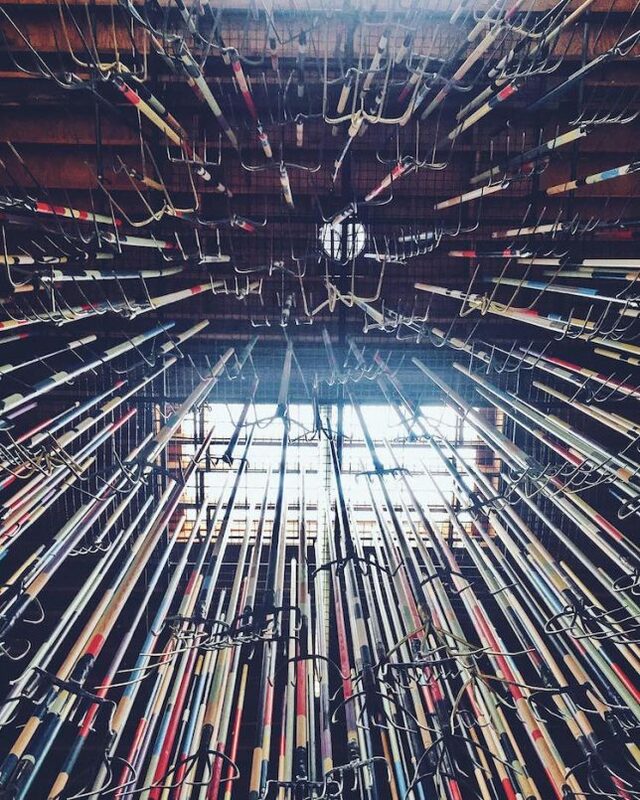 Dubbed The Crusher, this installation sounds as much like a pro wrestler or horror movie as a piece of art. And as the ominous name suggests: it is something to be awed … and perhaps at least a little bit feared. 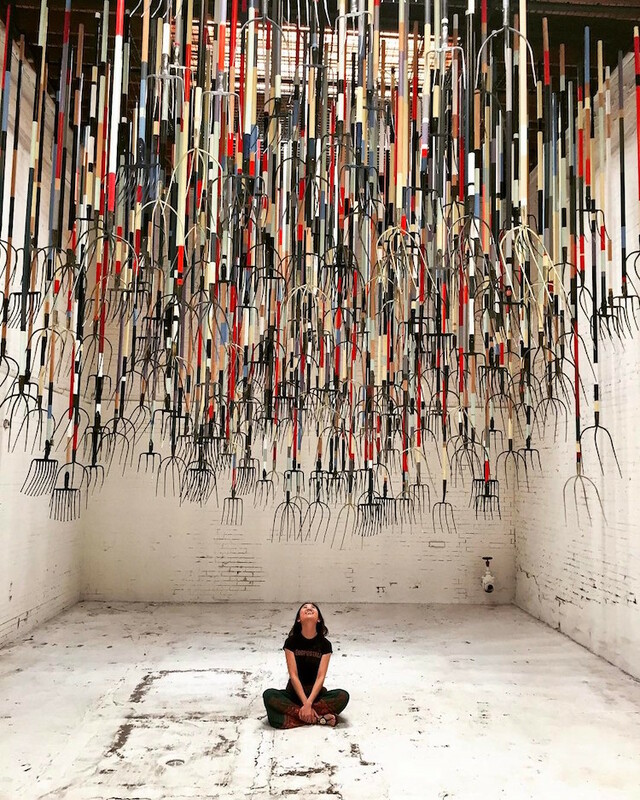 British artist Simon Birch works in a variety of mediums, but this installation in a Los Angeles is a bit of a departure from his safely-on-the-canvass oil paintings. The 300 suspended forks feature three to five prongs for a total of over a thousand points on which one could be impaled. 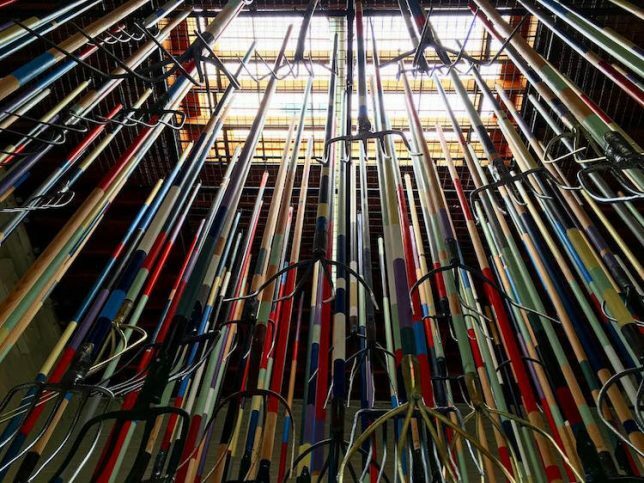 Visitors to this site-specific work are invited to view it now just from the side but also from beneath. The rundown appearance of the surrounding structure and variety of aged potential death traps above do little to assuage one’s anxiety while going below (or watching others do so). 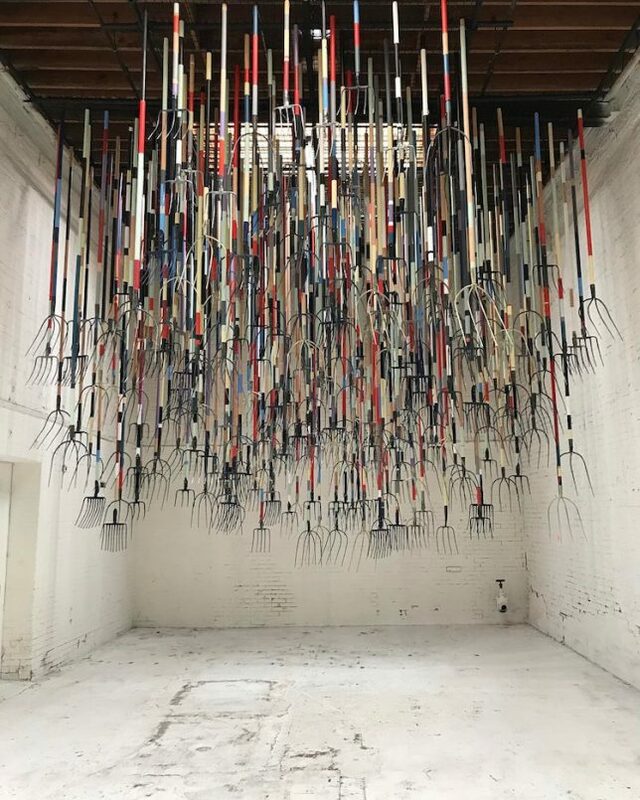 So far, the work has been hugely popular, but one has to wonder: what if there were an earthquake, or one of the forks slipped loose somehow? Simon Birch “has also ventured into film and installation work … These large multimedia projects integrated paintings with film, installation, sculpture, and performance housed in specifically configured spaces” (via MMM).